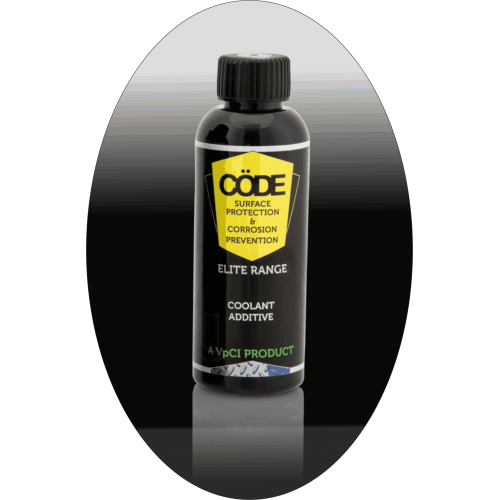 Code Coolant Additive is a corrosion inhibiting additive for water and ethylene glycol-based engine heat exchange fluids. It protects ferrous and non-ferrous metals from corrosive contaminants. CödeClean Coolant Additive is based on an organic-inorganic formulation designed for low level concentrations in field applications. It contains a unique combination of contact and vapour phase corrosion inhibitors that provide corrosion protection even in partially filled spaces. Cöde Premier 40% Carnauba Wax with added VpCI chemicals is a liquid wax which creates a long-las..